We are in the midst of earnings season. The perfect time to remind ourselves that it is not the news itself that is important. 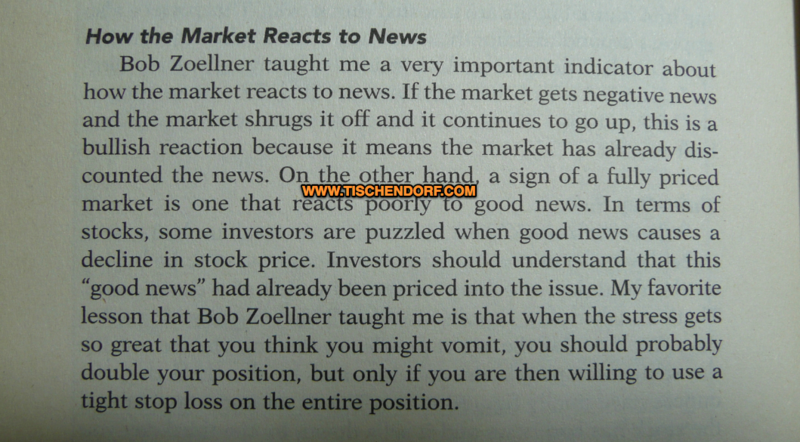 What is important is how price reacts to news! 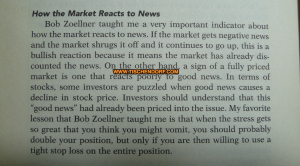 Here is the passage with timeless trading wisdom from Marty Schwartz: ‘The Pit Bull Guide to Successful Trading’ explaining that key issue. This is crucial information as it is a great reminder successful trading is often counterintuitive. A concept most traders struggle with.